Social media & CRM – A new world or just better business? * Identify what Social Media is and what it means to your business. * Share some ideas about incorporating Social Media into your existing customer strategy. * Discover the best tools to execute a social CRM strategy. * Find out how to develop meaningful customer relationships using Social Media. * Share our top tips for Social CRM engagement. 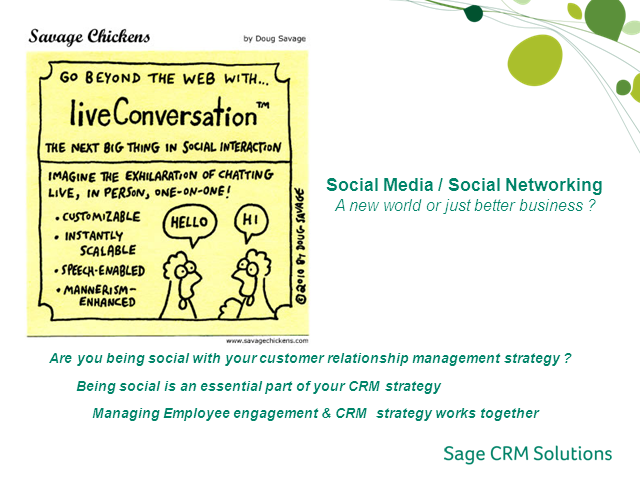 Title: Social media & CRM – A new world or just better business?